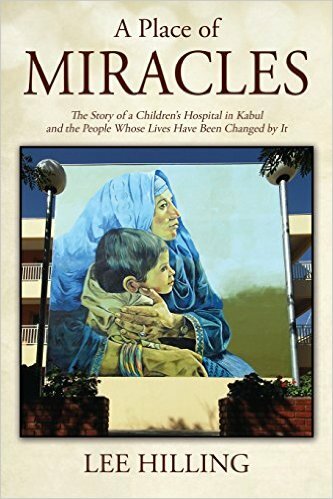 Please join us from 2:00-4:00 p.m. on Sunday, September 25th at the Ismaili Jamatkhana and Center (1700 First Colony Boulevard, Sugar Land, TX 77479) for the official book launch and signing of Lee Hilling’s A Place of Miracles. This free event is presented by The Aga Khan Council for the Southwestern United States in partnership with the Consulate General of France in Houston and the Texan-French Alliance for the Arts. Arising during a time of seemingly never-ending war, the French Medical Institute for Children (FMIC) is one of Afghanistan’s most remarkable success stories. It has become the enabling catalyst for lives to be changed and dreams to be realized – a place where people have succeeded and survived against overwhelming obstacles and odds. Lee Hilling, Chairman of FMIC’s governing body since its inauguration in 2006 will share his story and the story of this remarkable public-private partnership as he launches his book, A Place of Miracles: The Story of a Children’s Hospital in Kabul and the People Whose Lives Have Been Changed by It. Please join us on Saturday, September 10th from 7:00-10:00 p.m. for the Art Opening Reception of the Rørpost Collaboration Project at the Art Car Museum. The purpose of this project is to bring international artists together using collaborative projects as a pipeline for the flow of creative energy, the development of friendships, and the celebration of freedom of expression. Twenty-one artists from Esbjerg, Denmark were partnered with twenty-one Houston artists. Each artist started a work on paper. These works were sent across the Atlantic to be finished by their artistic partner. Each artist subsequently created a new work in response to the experience of the collaboration in a medium of their choice. This exhibition will include 84 works of art by 42 artists, including French-American artist, Karine Parker-Lemoyne (Executive & Program Director of the Texan-French Alliance for the Arts), and French-speaking Swiss-American artist, John Bernhard (ArtHouston Magazine), who are members of Houston’s Art Chatter Collective. To learn more about the Rørpost Collaboration Project, please visit www.artcollaboration.org. Rørpost Houston was made possible in part through the Houston City Hall’s City Initiative Grant, Houston Arts Alliance, Royal Danish Embassy, Art Car Museum, Fiscal sponsor Fresh Arts, Art Chatter, Blå Døre, Art Friends, Blue Water Shipping, Savage Henry Films, ArtHouston Magazine, Aker Imaging, Local Houston Magazine, and Boehme Café Cultured Cocktails. 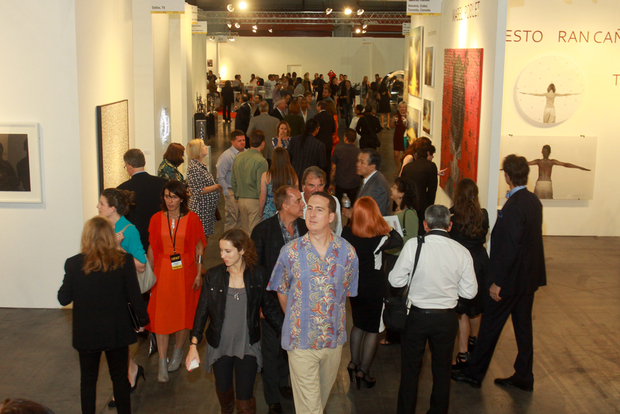 Please join us for the sixth annual Houston Art Fair! This year’s fair will be held from Thursday, September 29th to Sunday, October 2nd at Silver Street Event Space – an exciting new event space in Houston. The Texan-French Alliance for the Arts will have a booth at the fair, where you can learn more about our current programs and participate in a small creative workshop! The Houston Art Fair aspires to reflect Houston’s sophisticated and diverse collecting practices, where art enthusiasts will encounter an international cross-section of works in all media – from past to present. The fair will feature modern and contemporary masters, mid-career and emerging artists from around the globe. The Houston Art Fair also features memorable onsite installations and special projects, plus an invigorating program of panel discussions and events designed for both novice and experienced collectors. Please visit www.houstonartfair.com to learn more! The 2016 Houston Arts Partners Conference will be held on Friday, September 9th (from 9 a.m. to 6 p.m.) and Saturday, September 10th (from 9 a.m. to 3:30 p.m.) at the Alley Theatre (615 Texas Avenue, Houston, Texas 77002). We will be presenting our “From a Space to a Place” program on Saturday, September 10th from 9:45 a.m. – 10:45 a.m. alongside our partners, FotoFest Literacy Through Photography, YES Prep Northside, and the M.D. Anderson Family YMCA. Please visit this link to register and to learn more about the conference! 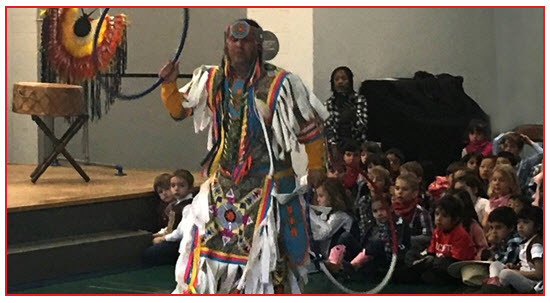 The Texan-French Alliance for the Arts is happy to share an event hosted by the Nomad Two Worlds Foundation featuring a set of Inter-tribal performances by Native Americans from various Nations in a powwow format, as well as storytelling by poet and author Kimboli Talking Medicine. Youths from the ages of 7-16 and their families are invited to attend this educational event to learn more about and celebrate Native American cultural heritage. This two session event will take place on Saturday, August 27th, 2016 from 1:30pm to 2:15pm and 2:45pm to 3:30pm at Bayou Bend’s Lora Jean Kilroy Visitor and Education Center (6003 Memorial Drive at Wescott Street, Houston, Texas, 77007). While this event is FREE, we ask you to contact Dimitri at dpilenko@ntwfoundation.org or 713-298-5220 to secure a place at one of the two sessions, as seating will be limited. 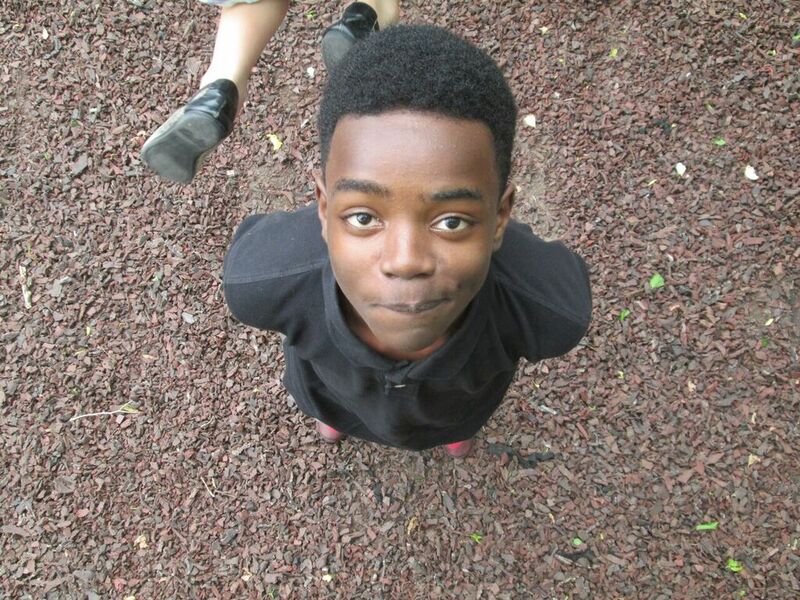 For more information, please contact Dimitri, or visit www.ntwfoundation.org. Please join us for a free, family friendly event on Saturday, August 13th from 5:00-7:00 p.m. at 6413 Paris St., Houston, TX 77021. This creatively interactive event – conceived, planned and hosted by the students of the OST Youth Council – will display the students’ various artistic skills, such as portrait photography, drawing, poetry, mixed-media art, and more! The “Heroes of OST” event is the successful result of the first “From a Space to a Place” follow-up program developed by the Texan-French Alliance for the Arts, in partnership with Agape Development and the Southeast Houston Transformation Alliance. We are thankful for all of our volunteers, partners, and sponsors who have helped make the vision of these students a reality! Please join us for the closing ceremony of Claire Basler’s exhibition “Jardin Eternel” this Friday, August 5th from 5:30PM-8PM. This happy hour event will begin with a musical performance by French cellist Louis-Marie Fardet, followed by an “art talk” given by Anna Tahinci, PhD Professor and head of Art History at Glassell School of Art. The Texan-French Alliance for the Arts is also excited to be presenting a creative art workshop at the ceremony. The “All Things Beautiful” closing ceremony will take place at the Houston Design Center (7026 Old Katy Road, Houston, 77024). 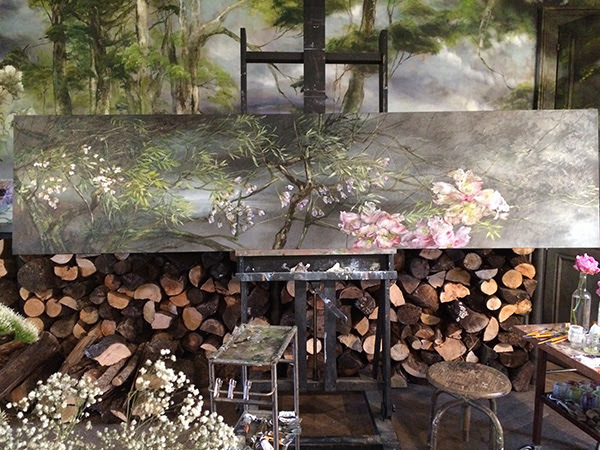 Yvonamor Palix is proud to announce Jardin Éternel / Eternal Garden, the first solo exhibition of French artist Claire Basler in the United States to be presented at Alkusari Stone at The Houston Design Center. You will be transported to the rich verdant fields of France filled with flowers and flowing tree lines through the lush and exuberant landscapes of Basler’s works. 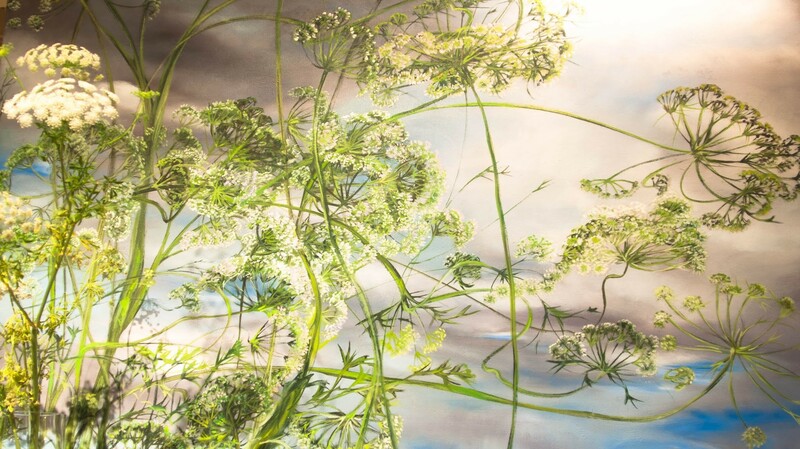 Her masterful paintings are an homage to nature and a veritable visual celebration. To commemorate the show, the artist will travel to Houston to personally present her works during the Bastille week celebrations in Houston by the Consulate General of France. Join us for coffee at the Opening Celebration on Friday, July 8th from 10 a.m. to 12 p.m. for garden-inspired drinks, presentations by diverse Houston personalities as well as a Q & A and book signing with Claire Basler. If you are unable to make it to the morning event, please be sure to stop by the exhibition at 5 p.m. for cocktails and light bites offered by the Texan-French Alliance for the Arts to commemorate this special occasion. We will be sharing a short presentation on our latest endeavors in the community, including our recent “From a Space to a Place” program in the Northside. The exhibition will be open to the public Monday through Friday from 10 a.m. to 5 p.m. For more information, please contact Yvonamor Palix at 281.467.6065 or ypalix@yvonamorpalixart.com. Learn more about the exhibition by visiting ypalixart.com and clairebasler.com. 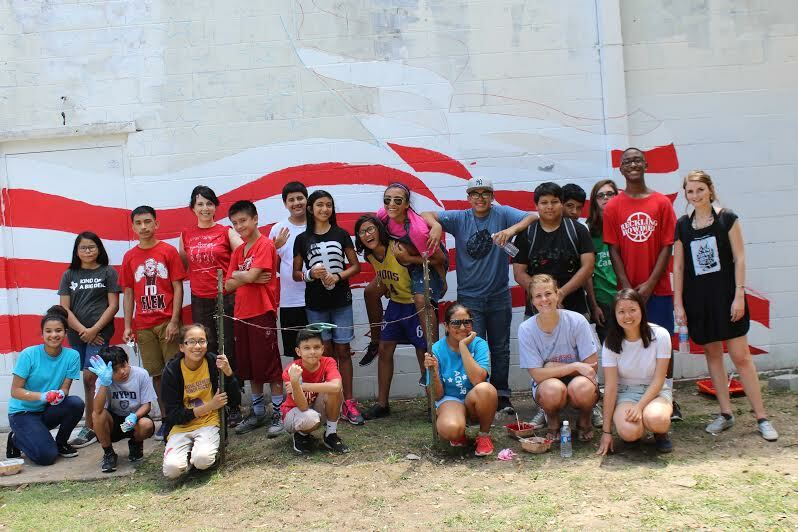 The Texan-French Alliance for the Arts‘ summer program “From a Space to a Place” in partnership with YES Prep Northside and the MD Anderson Family YMCA is nearing completion. 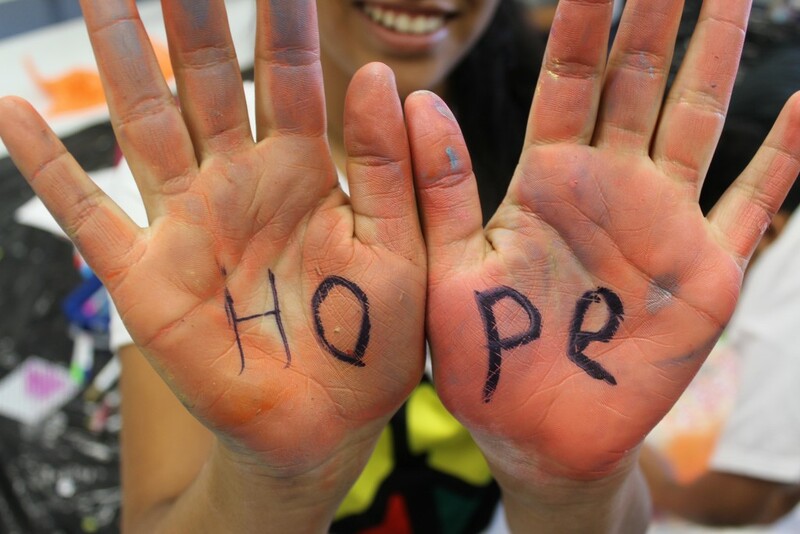 We’ve been working with a dedicated group of middle school students to bring positive change into their neighborhood. After brainstorming ideas, the students decided to unite their community under a “flag of positivity,” creating a bold mural of the American flag with inspirational words and messages written in different languages inside the stars and stripes. In addition to the mural, the students are painting colorful stones that will be placed around the trees to draw attention to the mural. Currently in progress, their project will be completed in time for the celebration event this weekend. The unveiling of the mural will be held Friday, July 1st from 9:30 a.m. to 10:15 a.m. at 2301 Fulton St, Houston, TX 77009 (the backside of Jefferson Dental Clinic at the crossroads of Gentry St and Quitman St). Following this, there will be a celebration event at the M.D. Anderson Family YMCA (705 Cavalcade St, Houston, TX 77009) from 10:30 a.m. to 12:00 p.m.
was made possible thanks to the support of Schlumberger Limited. The Texan-French Alliance for the Arts and the City of Bellaire, with the support of the French Consulate in Houston, are proud to announce the unveiling of five artistic “Open the Door” art doors in Paseo Park (Bellaire and 2nd) on Friday, June 3, 2016 at 10:00 am. Due to inclement weather, the event will be held inside the lobby of Bellaire City Hall (7008 S. Rice Ave. Bellaire, TX 77401). Earlier this spring the Bellaire City Council approved the purchase of five artistic doors on the recommendation of the Bellaire Cultural Arts Board. 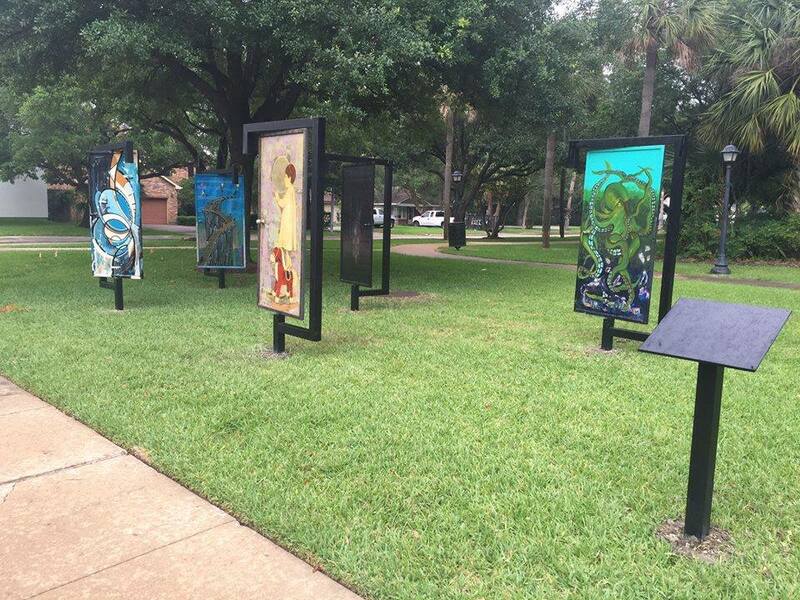 These works of art were recently installed in Paseo Park on Bellaire Blvd. at 2nd Street. The Texan-French Alliance for the Arts is excited to partner with the City of Bellaire to bring the “Open the Door” spirit to the community and invites residents to join in the unveiling of this exciting project. These doors were painted by artists Romain Froquet, Stephane Carricondo, Anne Maizia and Sylvie Delusseau from Paris, France and artists Daniel Anguilu, Karla Morales, Linh-Tran Do, Michael Allen Martin and Quentin Pace from Houston, Texas. Some of the artists will be present at the unveiling, including Linh Tran Do and Daniel Anguilu. We hope you come and join us for the fun!